Carlos Abreu, D.M.D. and Mahvassh Abreu, D.M.D. By Carlos Abreu, D.M.D. and Mahvassh Abreu, D.M.D. 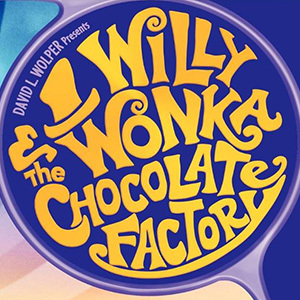 The classic movie Willie Wonka & the Chocolate Factory, starring Gene Wilder, still brings back sweet memories of childhood to people everywhere. Recently, the news broke that a remake of the beloved 1971 film is in now development in Hollywood. But at a reunion of the original cast members a few years ago, child star Denise Nickerson revealed that her role as gum-chewing Violet Beauregard caused a problem: she ended up with 13 cavities as a result of having to chew gum constantly during the filming! It should come as no surprise that indulging in sugary treats can lead to cavities: The sugar in your diet feeds harmful bacteria that can cause tooth decay and other dental problems. Yet lots of kids (not to mention the child inside many adults) still crave the satisfaction that gum, candy and other sweets can bring. Is there any way to enjoy sweet treats and minimize the consequences to your oral health? First, let’s point out that there are lots of healthy alternatives to sugary snacks. Fresh vegetables, fruits and cheeses are delicious options that are far healthier for you and your kids. Presenting a variety of appealing choices—like colorful cut-up carrots, bite-sized cheese bits and luscious-looking fruits and berries can make it easier (and more fun) to eat healthy foods. And getting kids off the sugar habit is a great way to help them avoid many health problems in the future. For those who enjoy chewing gum, sugarless gum is a good option. In fact, chewing sugarless gum increases the flow of healthful saliva in the mouth, which can help neutralize the bacteria-produced acids that cause cavities. Gums that have the ADA (American Dental Association) Seal of Acceptance have passed clinical tests for safety and effectiveness. But if you do allow sugary snacks, there are still a few ways to minimize the potential damage. Restrict the consumption of sweets to around mealtimes, so the mouth isn’t constantly inundated with sugar. Drink plenty of water to encourage saliva flow, and avoid sugary and acidic beverages like soda (even diet soda) and “sports” or “energy” drinks. Brush twice daily with fluoride toothpaste and floss once a day. And don’t forget to visit our office regularly for routine checkups and cleanings. It’s the best way to get a “golden ticket” to good oral health. Learning you’re pregnant can be a joyous moment. But it also means life is about to change as you focus on protecting you and your child from anything that endangers your health. Because of these new concerns you might even hesitate about receiving dental care, especially involving anesthesia. 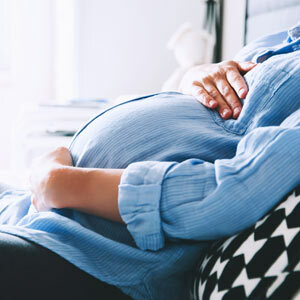 But several medical organizations representing doctors, OB-GYN physicians and dentists wholeheartedly recommend continuing regular dental visits during pregnancy. In fact, you should continue them because you’re pregnant: physical and hormonal changes during pregnancy could increase your risk of dental disease. For, example, your consumption of carbohydrates (like sugar) could increase, which in turn increases your risk of tooth decay. You’ll also need to be more concerned about dental plaque, a thin bacterial film on your teeth that can cause disease. Hormonal changes during pregnancy may make you more sensitive to plaque, and thus more susceptible to disease — especially periodontal (gum) disease. In fact, a specific form of gum disease called pregnancy gingivitis affects around 40% of expectant women at some point in their pregnancy. And if you already have gum disease, pregnancy could worsen it. Left untreated the disease could develop into more severe periodontitis, which may significantly damage your teeth’s support structures far below the gum line, leading to bone loss, which could result in the eventual loss of your teeth. Daily brushing and flossing, regular cleanings and checkups and, if your dentist prescribes it, antibacterial mouth rinses can help you stay ahead of it. But what about other procedures while you’re pregnant? It may be best to wait on elective treatments for cosmetic purposes until after the baby is born. But some situations like deep tooth decay that could require a root canal treatment may become too serious to postpone. Fortunately, several studies have shown it’s safe for pregnant women to undergo many dental procedures including tooth fillings or extractions. And receiving local anesthesia doesn’t appear to pose a danger either. The important thing is to remain diligent with your own personal hygiene — brushing and flossing — and making other healthy choices like eating a nutritious diet. And be sure to let your dentist know about your pregnancy to help guide your dental treatment over the next few months. If you would like more information on taking care of your teeth and gums during pregnancy, please contact us or schedule an appointment for a consultation. Which Cosmetic Procedure Is Right for Me? Carlos Abreu, D.M.D. & Mahvassh Abreu, D.M.D.